Many of us are either obsessed with perfectly wrapped gifts or we despise the whole idea of planning how to present a gift. If you think I’m joking, then take a look at this article that contains only 10 words and a short clip of gifts being impeccably wrapped that got over 200,000 shares. Furthermore, I’m sure many of us remember the show Extreme Makeovers: Home Edition, which revolved around the moment when the gift (in this case a newly renovated house) is revealed from behind a moving bus. Although many of us are bias when it comes to how a gift should be presented based on our personalities or gift-wrapping skills, there has been some research that sheds some light on the effects of how a gift is presented. In 1992 Daniel Howard, a marketing professor at Southern Methodist University, published a study that sought to determine if gift wrapping positively affects the recipient’s attitude toward possessing a gift. Like many psychological studies, there are often sleights that trick the participants into giving a more accurate response. This one was no different. One of the experiments asked students to evaluate four different products in exchange for a free gift. Before leaving the room, the students were asked to rate the gift they received, which happened to be what the whole experiment was about. What did they receive? 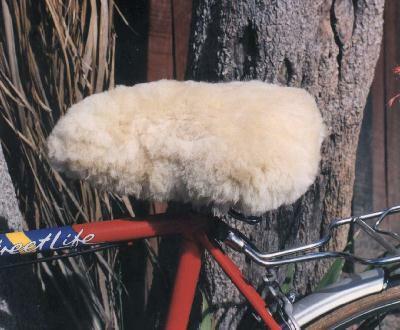 A sheepskin bicycle cover. What is even more interesting is that the students who received the bicycle cover that was gift-wrapped rated the gift significantly higher than those who received the gift in a plastic bag. Another experiment tested the effect of the quality of wrapping paper on how the recipient perceived the gift. This yielded similar results. Even the gifts wrapped in cheap brown paper were rated higher than those not wrapped at all. Another research paper produced by the Bond Business School shows that the majority of people prefer to have their gifts wrapped. Although there may be outliers like myself, it seems that it's usually safe to go ahead and add those final touches. It also elaborates on the fact that presenting or wrapping a gift is both a social signal of the item being a gift and a cultural expectation in most parts of the world. This can be especially true in Eastern cultures where the way a gift is presented or the color of its wrapping paper can communicate different messages. So, what does this all mean? Well, Dr. Howard argues that gift wrapping not only affects the perceived value and ownership of a gift, but it also affects the mood and attitudes of the recipients. Furthermore, gift wrapping itself often will cue a happy or positive mood among the recipients because of its association with happy moments in many individuals' lives. Some even argue that a gifts value is greatly diminished just by the lack of gift-wrapping. This means that when we consider giving someone a gift for a corporate event, client milestone, or employee anniversary, we should seriously consider how it is presented. Although not all gifts can or should be wrapped, Dr. Howard’s experiment shows that how you present a gift plays a significant role in how the recipient is affected by it. So, before you decide to just hand over your next gift, consider how you can present it so that it’s memorable and will generate the positive response you’re hoping for. At the end of the day it’s all about the recipient and your unique relationship with them, so consider capitalizing on this opportunity next time you give a gift.